Hey once again I brought you a WhatsApp viral script for New Year 2019. This script is advance and more powerful then the previous once. Just Keep Reading Next. The script is built on PHP and it doesn’t support the blogger platform, for the script to work you should have a hosting and your own domain. This WhatsApp wishing script have some unique features which we would be going to talk later on. Firstly let’s check out the sample of the script by clicking here. I hope you would have checked out the sample, now let’s talk about its features one by one. It has one of the best features which mostly are found in paid WhatsApp viral scripts which here you are getting for free. PHP – This script already told is a PHP based wishing script which let’s user send the wishes by his/her name to the person he is sending which looks amazing in eyes of user interacting with it. Short Link Support – The link generated by the script which is sent is not a link that looks like example.com/?n=david as it has the Short Link Support means this would use the API to generate a bitly short link that is great. Best Ad Placements – We had added the best ad placement places so the ads look great and also the CPC or CPM rates get high. If you had loved the features wanted to setup the script so let’s do it. First of all download the WhatsApp Viral Script For New Year 2019 by clicking the download button given below. After downloading extract the zip folder in your cpanel’s files directory. Add your ad units in the <center></center> tags where there is a comment <!–Ad Slot–>. 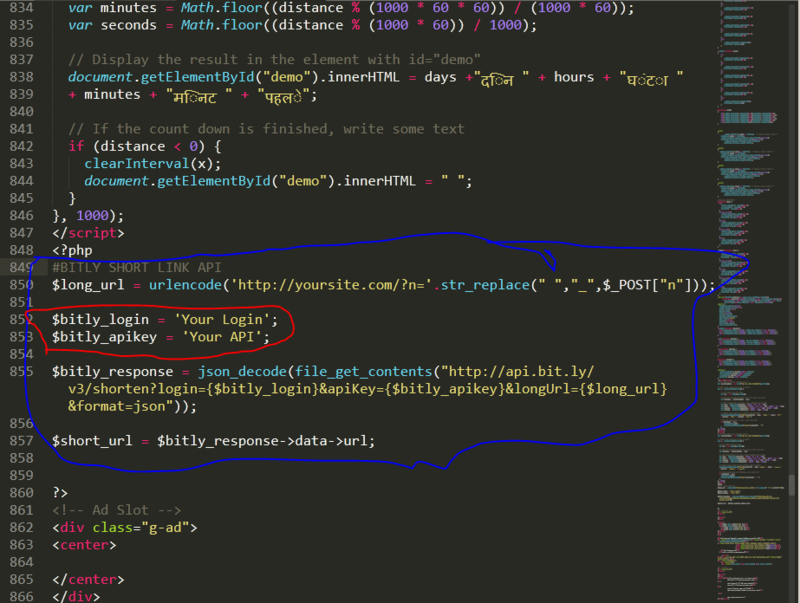 Create a bitly account and go to settings>advance settings there you will find the API key and API login credentials paste it there as shown through red color mark in image. 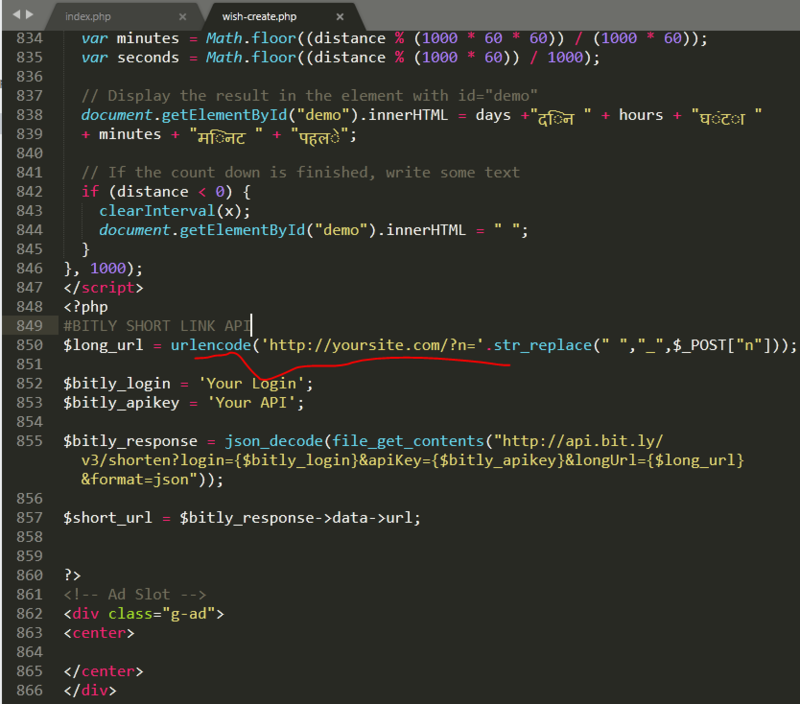 After that change the url of your site by going to http://yoursite.com as shown in image using red color. You are done just do some testing before sharing it. Here this was the post for WhatsApp Viral Script For New Year 2018. Do Subscribe To Our Push Notifications By Clicking The Red Bell At Bottom.